City of history and culture, Lisboa is a restless city that rises in a maze of alleys and narrow streets from the river to the Castle, partnering the Tagus. 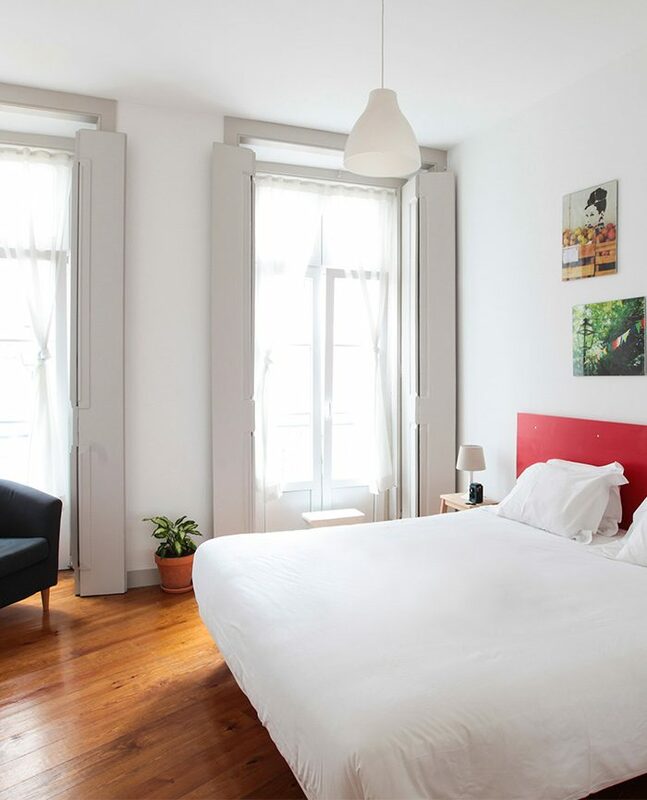 Monuments and Art are central to Lisboa DNA, which offers its visitors an extremely rich architectural heritage both secular and religious with a large number of museums, churches, monasteries and palaces that you must visit while in Lisboa. Also known as the church of Santa Maria Maggiore, the Cathedral is one of the oldest monuments in Lisbon. Its construction began in 1150 (where previously stood a mosque), after the Arab conquest of Lisbon by King Afonso Henriques. It is a mixture of architectural styles and the result of successive reconstructions that includes a rose window and two bell towers adorn its Romanesque façade and a Gothic cloister, with double arches decorated with capitals. 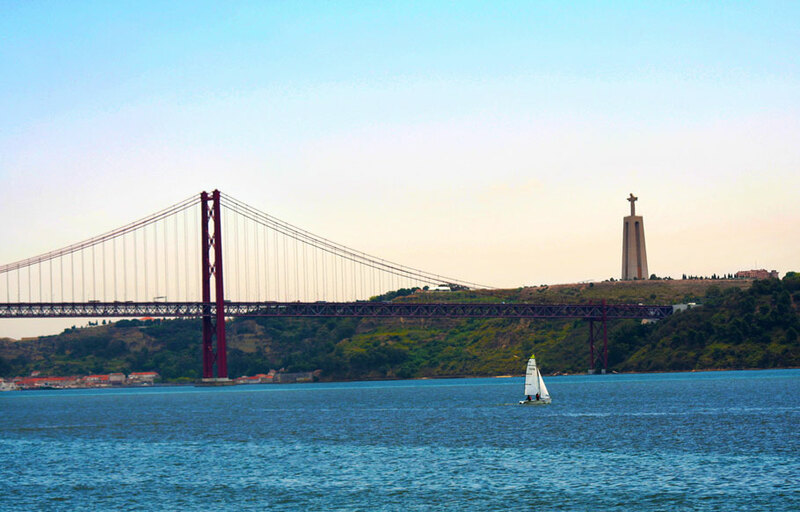 The Shrine of Cristo-Rei is located in Almada, the south margin of the Tagus River, and is clearly visible from all Lisbon riverfront. It rises to 113 meters above sea level and consists of a portico 75 meters high, topped by a giant statue of Christ with over 28 meters in height (by the sculptor Francisco Franco de Sousa). It’s one of the best viewpoints over Lisbon, and was built with a spiritual purpose, inspired by the statue of Christ the Redeemer in Rio de Janeiro. Opening Hours: every day of the year, with time restrictions in the days of Christmas and New Year. Strategically built on the north bank of the river between 1514 and 1520 for defense of the Lisbon Bar, it’s one of the jewels of the architecture of the reign of King Manuel I. The Belém Tower is a cultural reference and the symbol of a country in constant dialogue with other cultures and civilizations. In 1983 it was classified by UNESCO as “World Heritage Site”. It’s one of the most important national buildings and a UNESCO World Heritage Site. Touted as the “jewel” of the Manueline style, the Jeronimos integrates architectural elements of late Gothic and Renaissance periods, associating a regal and Christian symbology. 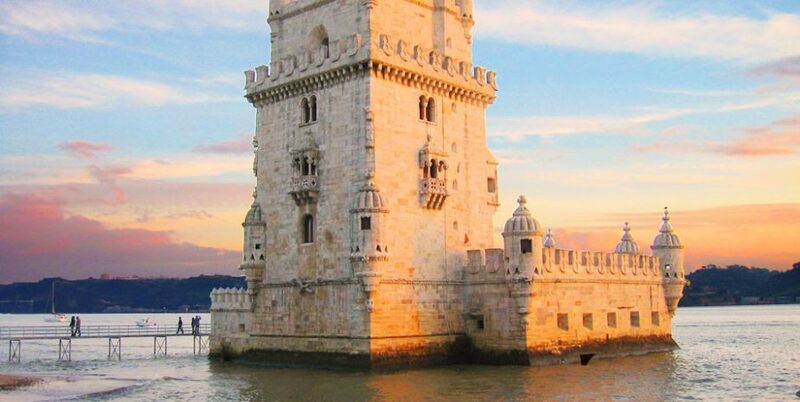 Lisbon’s Belém monuments and architecture can be admired from the top of this monument, standing on the spot where Vasco da Gama left for his world-changing voyage to India. Be sure to look down to see visitors standing on the top of the world (a map on the pavement illustrating the routes of the Portuguese explorers). Classified as a National Monument, the aqueduct is one of the most remarkable works of hydraulic engineering, and with a length of 58 Km it’s one of the largest and most complex systems of water supply in the world. The Estrela Basilica is the pantheon of Queen Mary I, who had it built, and one of the most brilliant achievements of the late Baroque with the inclusion of neoclassical elements. 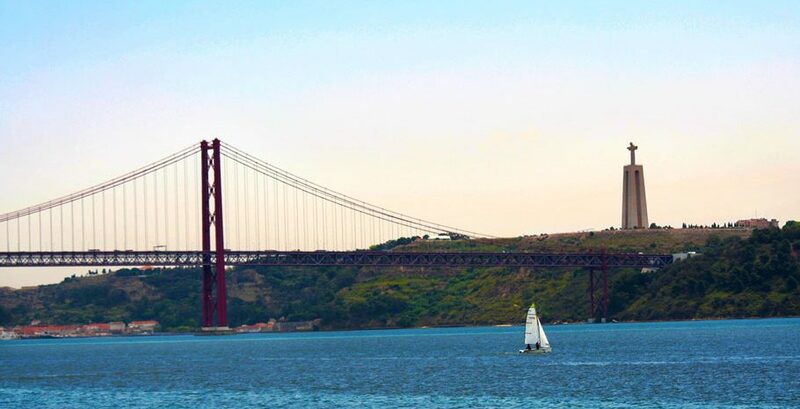 If you’re visiting, our suggestion is that you come up to the Terrace of the Royal Basilica so that you can fully appreciate the view of the Jardim da Estrela, the castle, the Tagus, the Lapa and Avenida Infante Santo below, with 25 de Abril Bridge in the distance and without people or doves around. The ruins of the convent of the Carmelite Order, built in 1389, stand in a privileged position overlooking the Rossio (Praça Dom Pedro IV), and very close to the hill of the São Jorge Castle. This site was once the main Gothic church in Lisbon. In ruins due to the 1755 earthquake, it is still one of the remaining rins left by the earthquake still present in the city. The monastery eventually became a military outpost and the ruins are now the headquarters of Carmo Archaeological Museum. Situated in the historic district of Santa Clara, the National Pantheon occupies the building originally intended for the church of Santa Engracia, welcoming the tombs of the great figures of Portuguese history. 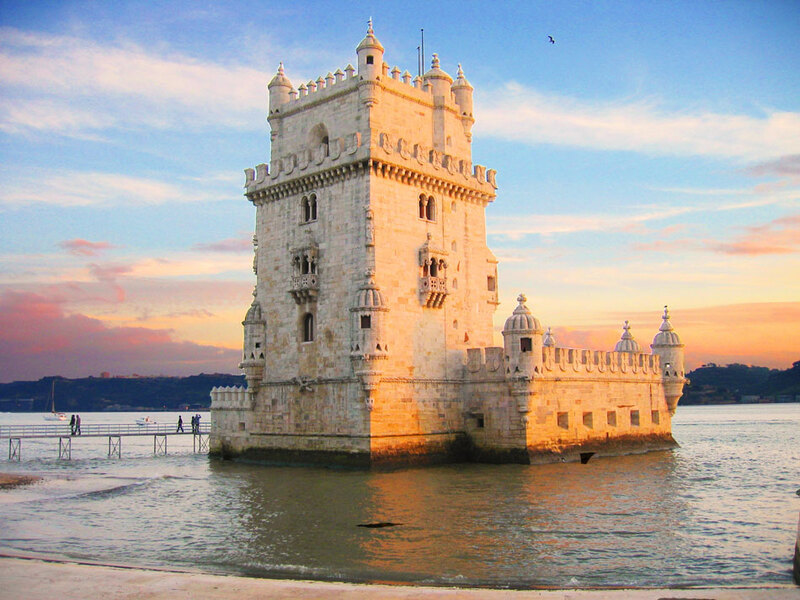 Founded in the 2nd half of the sixteenth century, the building is classified as a National Monument and it’s a referential element in the profile of the city that offers simultaneously privileged points of view for the historic area of the city and the Tagus river. The Church and Monastery of São Vicente de Fora is one of the historic buildings of the Portuguese capital, in honor of the patron saint of the city since 1173: San Vicente. This architectural model would be the basis of the facades of temples built in the Portuguese colonies in Africa, India, Macau or Brazil. Home to the largest organ of Lisbon, dated 1765, also worth a visit the blue and white tiles with scenes from the fables of La Fontaine, present in the cloisters and monastic dependencies. The Ajuda National Palace is a national monument, was also called Royal Palace of Nossa Senhora da Ajuda (Our Lady of Help) where the Portuguese royal family have resided therein. As a museum, the palace is especially significant as the Portuguese royal residence of the nineteenth century, integrating art collections dating from the fifteenth to the twentieth century. The Teatro Nacional de São Carlos (National Theatre of Saint Charles) is an opera house. It was opened in 1793 by Queen Maria I as a replacement for the Tejo Opera House, which was destroyed in the 1755 Lisbon earthquake. The theatre is located in the historical center of Lisbon, in the Chiado district.